White lines are used to separate traffic moving in the same direction. 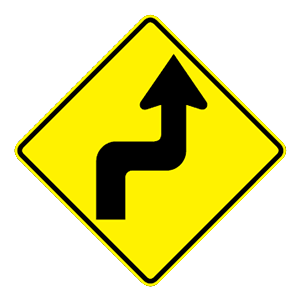 Dashed lines indicate that drivers directly next to the line are permitted to pass when it is safe to do so. In Idaho, which of the following rules applies to bicyclists? Never ride within two feet of a right-hand curb. 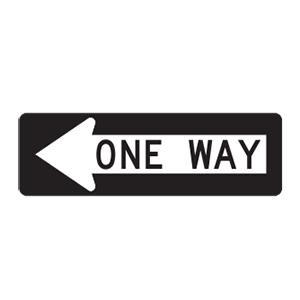 Yield the right-of-way to vehicles that have already arrived to a controlled intersection. In Idaho, bicyclists do not need to come to a complete stop at stop signs. They must, however, yield the right-of-way to vehicles already at an intersection controlled by stop signs and then proceed with caution through the intersection. When it is safe to change lanes. Only when passing a motorcycle. Traffic lanes moving in the same direction are separated by broken white lines. You may cross over dashed lines to pass, if it is safe to do so. Which is the correct response to seeing emergency vehicles approaching from behind with their lights flashing? Speed up to maintain distance between you and the emergency vehicle. Slow down but do not stop. Immediately pull to the curb or edge of the roadway and stop. Continue to drive forward and turn on your hazard lights. When being approached by an emergency vehicle that is sounding its siren and/or flashing its red or blue lights, you must immediately pull to the nearest curb or edge of the roadway and stop. Remain stopped until the emergency vehicle has passed.